Yeah, Justice League Movie Happening, But We Knew That Already. As we all knew, DC and Warner Bros, are finally getting ready for their answer to the Avengers. The long-awaited Justice League movie is finally on its way and it’s scheduled to start filming immediately after the Man of Steel 2 or Bat-fleck or whatever the hell they are calling it. We got the confirmation from the Wall Street Journal of all sources that the movie will retain the Man of Steel franchise director Zack Snyder. So, who’s in it? 3 big names are said to be reprising their roles from the upcoming Batman vs. Superman movie. Henry Cavil will still be Superman, Ben Affleck will still be Batman whether you like it or not and Gal Godot will be Wonder Woman. So far, so obvious to get the three archetypes of the Justice League out of the way. 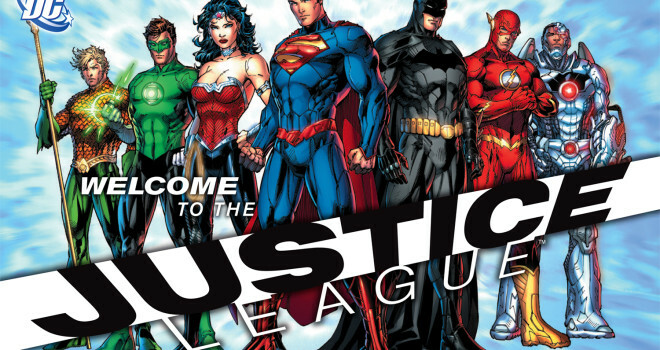 Any comic book fanboy (like me) knows that the JL roster has been ever-changing for years so the next question to ask is who will join the league? One long going rumor is that Green Arrow will be in it and reprised by Stephen Amell of the “Arrow” television show, but that’s a rumor. Recently, there have been reports of the casting for Cyborg; a half-robotic hero who is expected to have a cameo in “Batman vs. Superman” and then appear in “Justice League.” So, it’s safe to say that this will be a live-action modern take on The New 52. So, who’s going to be Green Lantern, Who’s stuck as Aquaman? Will they grab Grant Gustin to do the Flash? DC also plans to make live-action movies of other DC and Vertigo IPs such as “Shazam,” “Metal Men,” “100 Bullets,” and “Fables.” But they will be in no way tied to the Justice League Movie despite the fact that Shazam and the Metal Men have teamed with the League in the past. Of course, DC is now relegated to playing catch up because by the time this movie hits, Avengers 3 will already be on the way to theaters. Both movies are set to release in 2018.